Daryl Johnson (Worcester Park, United Kingdom) on 10 November 2008 in Architecture and Portfolio. 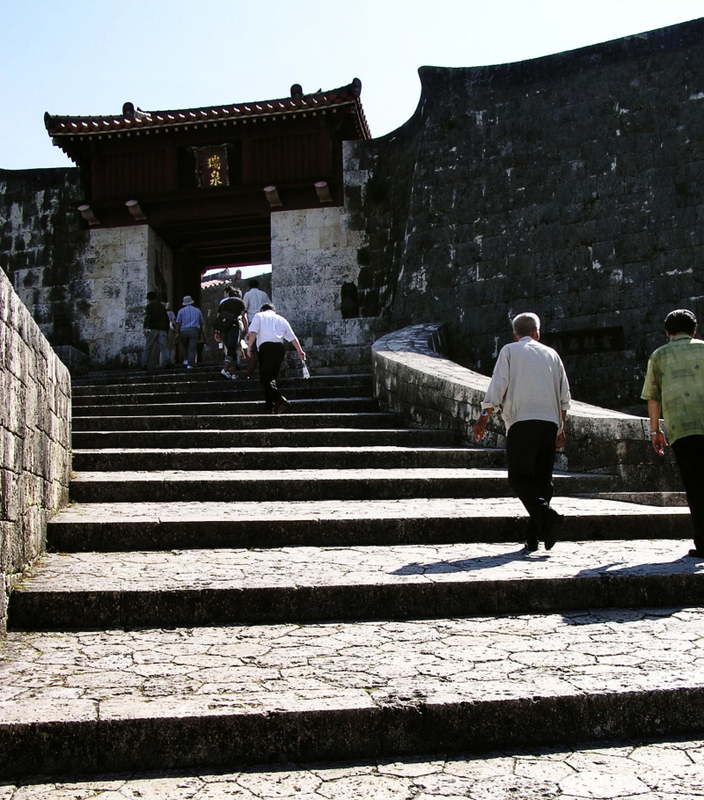 Leading up to the castle, which is a reconstruction of the palace of the former Ryukyu kingdom. Neat shot. I love the Japanese castles; the old ones that is. I saw the four national treasure castles while I was there. But there is something nice about them all. A bit of wall or the foundation stones are usually old. @Steve Rice: Thanks Steve, yes they are great places to visit aren't they? The long climb to the top, good shot Daryl. Very nice perspective on these people climbing the stairs. I like the the slight backlighting! Such fascinating and beautiful architecture. Those steps are quite impressive. It´s funny that the oldest buildings in Japan are made of stones , I think I haven´t seen any house made of it! @Hikari: That's true! Don't know the historical reasons - something to do with expense do you think... stone is the most expensive and impressive? Or for defence reasons? Well, everywhere I've been in Europe, the castles are made of stone. I'd guess it was a matter of security. I like the harshness of the contrast here, accentuating the hard work of climbing those steps, and the antiquity of the masonry. Nice perspective from down the stairs looking up the gate. Old and nice architecture.